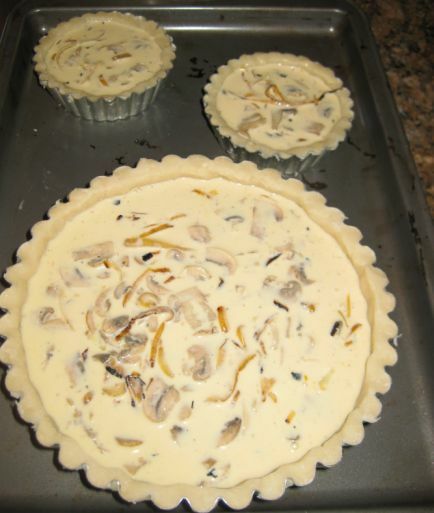 I bellowed from my kitchen: "I am making a Quiche tonight!" and right away I get answer from Kevin: "Mom, can you make it the crunchy way?" 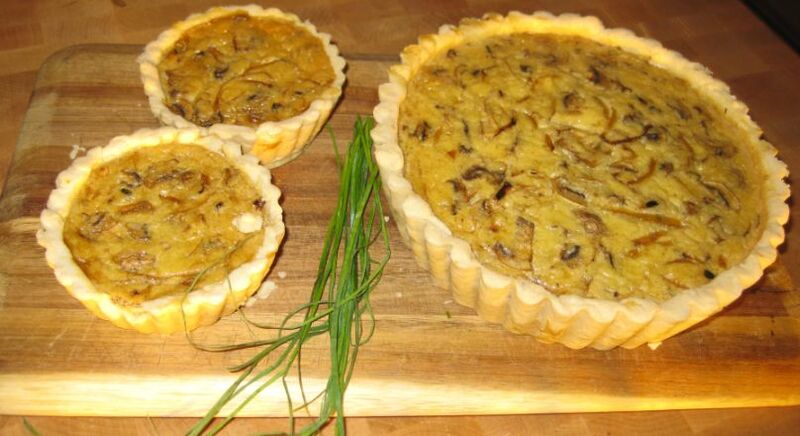 "Well I was going to make a traditional Quiche, but sure I can make a few Quiches the way you like!" 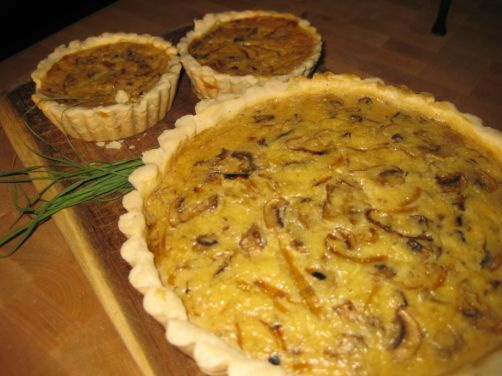 The traditional quiche is baked with a pâte brisée, which is a French short crust pastry dough made from a mixture of flour, a little sugar, salt, butter, and ice water. 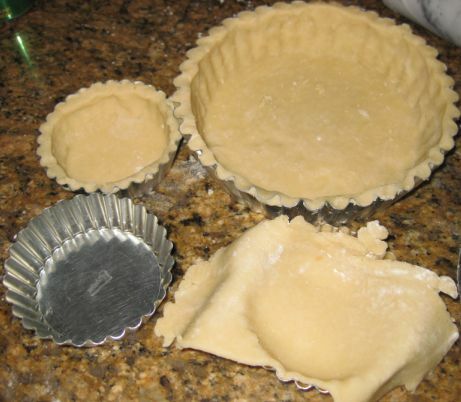 It has a high ratio of fat to flour which gives the pastry its crumbly texture and buttery flavor. 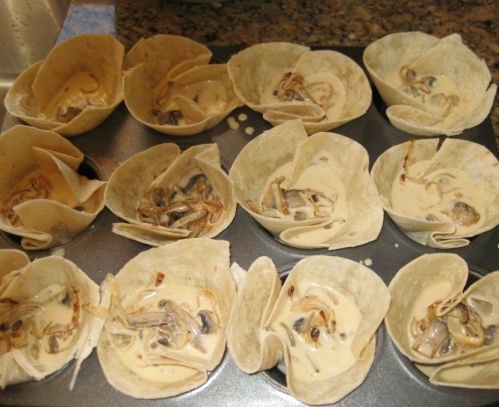 The other way I serve Quiche is to use burrito wrappers as the base, this is something I came up with. 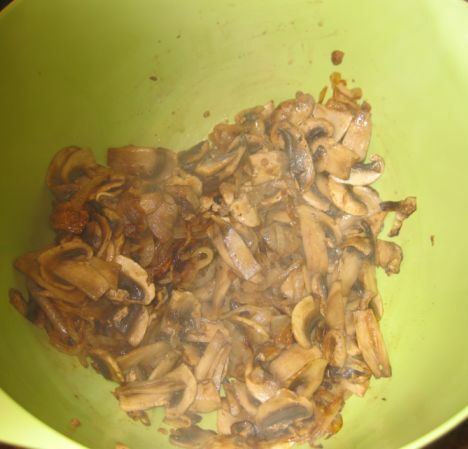 They are great for parties because they are crunchy, they are served as individual portion, great as finger food and they can also feed a crowd. 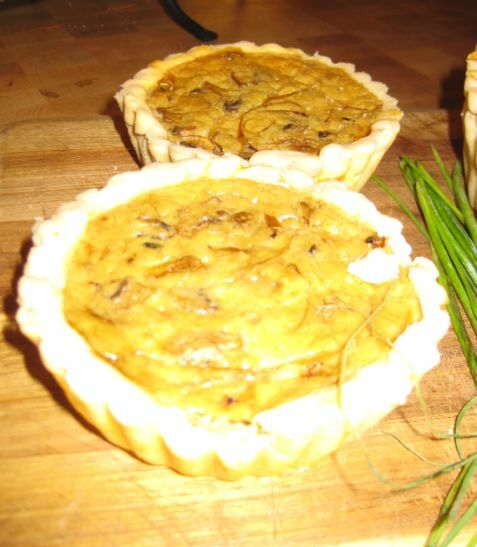 Here are the traditional quiches made with a pâte brisée base. 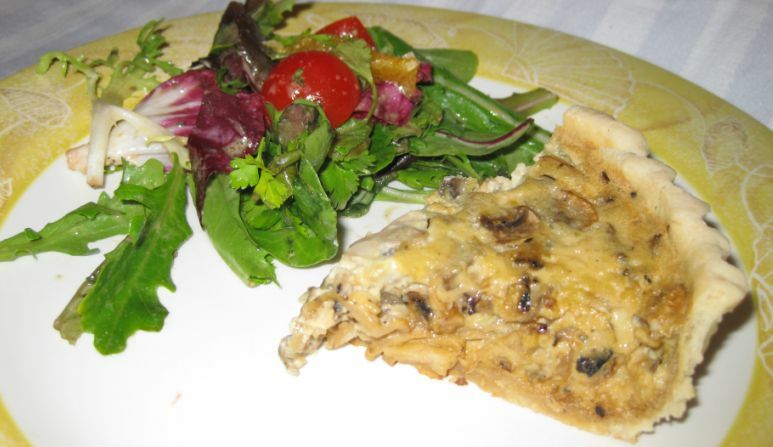 The pâte brisée is very rich and adds a nice texture to the quiche. 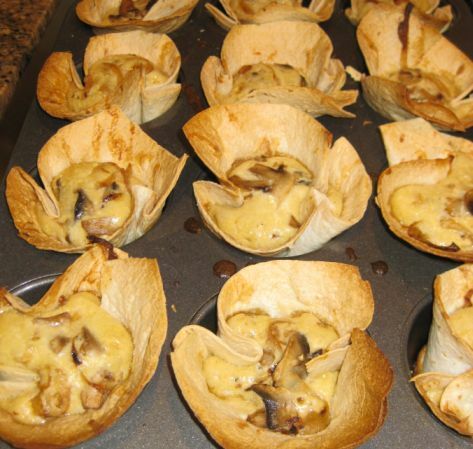 Since I made too much filling I also baked individual portion quiche which are perfect for lunch. 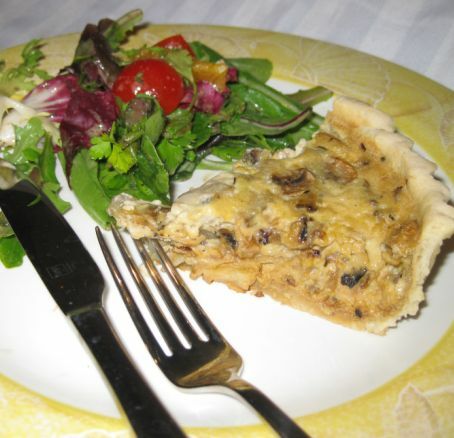 Here I paired the quiche with a tasty salad! Freshly out the oven. The burritos wrappers are crunchy and they are also very good. 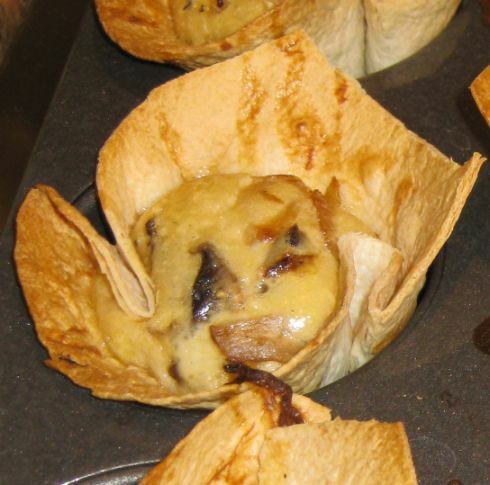 Close look at the individual quiche. 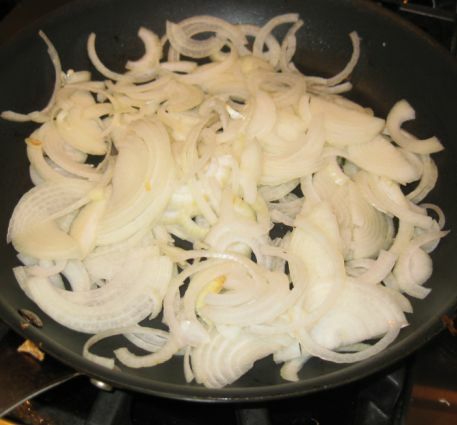 Onions are sliced and sautéed until they are caramelized. 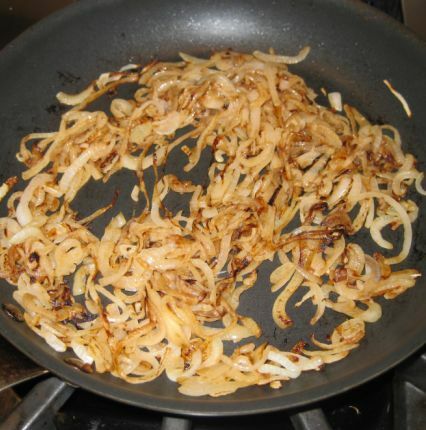 The onions are caramelized (about 10 minutes) and set aside. 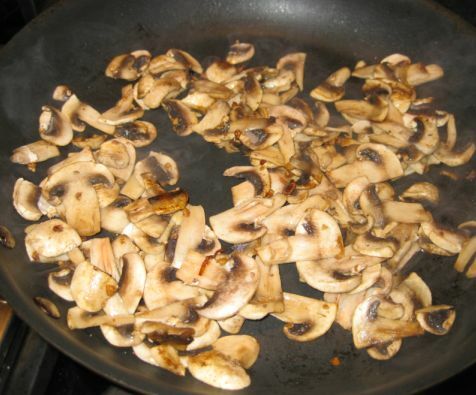 Mixing the sautéed mushrooms with the caramelized onions. 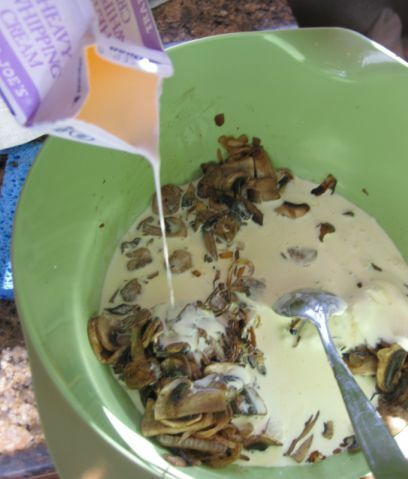 Cream, milk, and eggs are added the onion and mushrooms mixture. 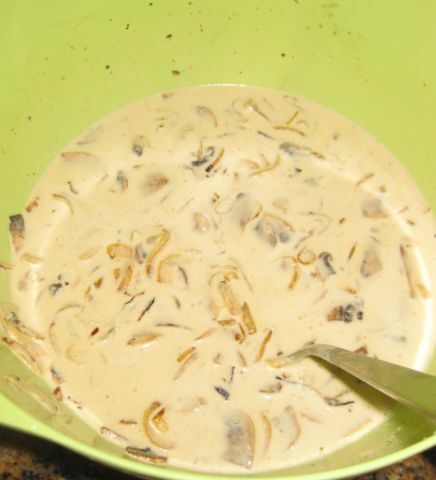 Salt and pepper are added according to taste and this is the filling for the quiche. Pouring the filling inside the molds. 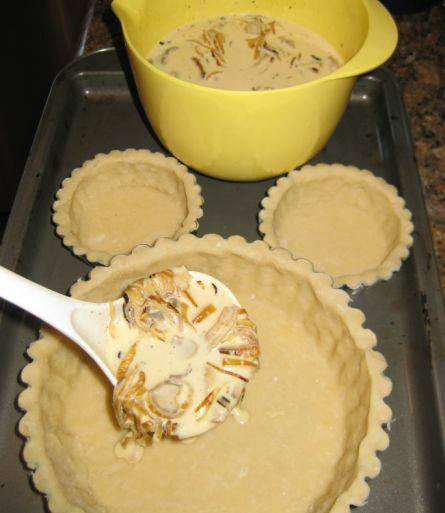 Ready to go in the oven for about 30 to 40 minutes. 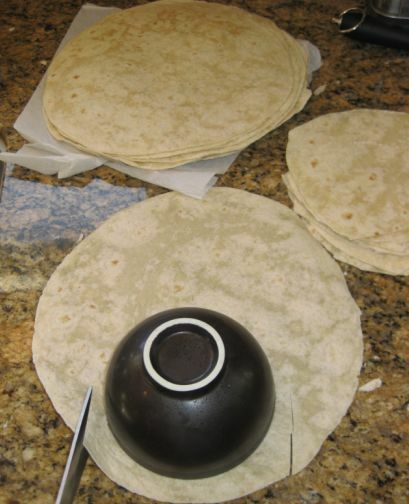 Individual portion using burrito wrappers as base. 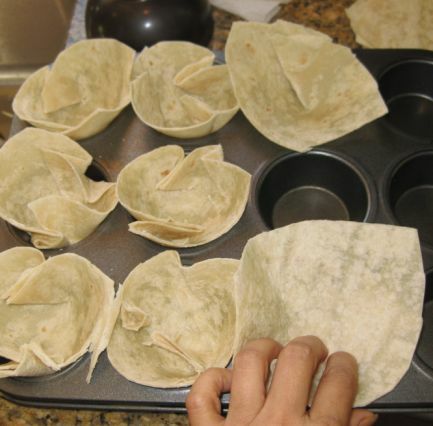 Inserting the circular burrito wrappers inside a muffin pan. Pouring the filling inside the burrito wrappers and they will go in the oven for about 20 minutes.